Here at Grand Smile Dental, we are excited to serve our patients. Our entire staff is dedicated to make sure you have a happy and healthy smile. We want you to be proud of your smile so that you are happy to show it off. CEREC – With CEREC crowns, the dentist does not need to take a patient’s tooth impressions, send them to a lab and then wait for weeks before they are delivered to the office. As such, the patient gets the crown during the very first appointment, making this treatment option especially popular among New Yorkers. While most patients looking for dental crowns would prefer CEREC crowns over traditional ones, not all dentists have the equipment or skills to offer this service. Fastbraces – Fastbraces® is the latest in orthodontic solutions. If you are looking for a treatment option that can straighten your teeth in less than a year, this is it! Fastbraces® can help you achieve a beautiful smile faster and with less discomfort than traditional braces can. 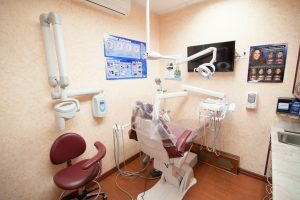 Don’t hesitate to contact us today at (718) 255-1381 if you have any questions or would like more information on how we can care for your teeth and mouth.